"When people collaborate on making anything artistic, there's an emotional pull inside of that and if it works well, you not only have a great business, you also have a great diplomatic cohesion between the two countries," said Chris Fenton, U.S.-Asia Institute Trustee and the President of DMG Entertainment. In August, Fenton will be taking a group of U.S. lawmakers to China to look at the country's growing entertainment and media industry, with the hope of even more Chinese investment in Hollywood. "For example, books and also resources of our Chinese cultures. One of the years, they actually brought Chinese folk culture tradition to the campus," said Chen, who teaches at Broadway Elementary, a dual language immersion school. "Bringing more artists together and exposing them to each other's culture and to shared cultural experience with China, you're sort of training, sort of a new generation of diplomats," said Susan Pertel Jain, UCLA Confucius Institute Executive Director. But long-time critic and academic Perry Link says Confucius Institutes are an example of China's soft power. "Soft power is cultural or educational things that cause people in other countries to view one's own country in a more friendly way. To reach out into the world with soft power is a new thing from the Chinese government's point of view, but an important thing because the rest of the successful world seems to be doing it," said Link, who is the University of California Riverside's Chancellorial Chair for Innovation in Teaching Across Disciplines. But Link says the presence of the Confucius Institutes on university campuses is dangerous because it often limits academic freedom to discuss China's human rights issues. "It's induced self-censorship. That is, ‘We are going to give you these funds and you can invite speakers about China and the fund comes from Beijing and you know that and we know that.’ Now, as the director of a Confucius Institute, do you think, ‘Oh, I'll invite the Dalai Lama’ to speak? No.Of course you don't do that," Link said. "Whether it's artists that we present there who were active in sort of [an] anti-government movement or whether it's the screening of films that are maybe not officially approved by the government, we don't shy away from that, but what we always tell our colleagues in China is that we promise to always present everything in a fair and balanced way," said Jain. 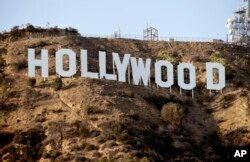 In the past, Hollywood movies have been America's example of soft power. "There is definitely a self-censorship. There is no doubt. I think the most obvious version of that was when self-censorship was not used and it really backfired," said Fenton. "It's a very large piece of the pie because it's roughly seven billion in dollars," Fenton said. "If you're thinking like a business person, there is a certain creative vision you should have for the content you're making that if you want to call it self-censorship that's fine, or you call it just good business."